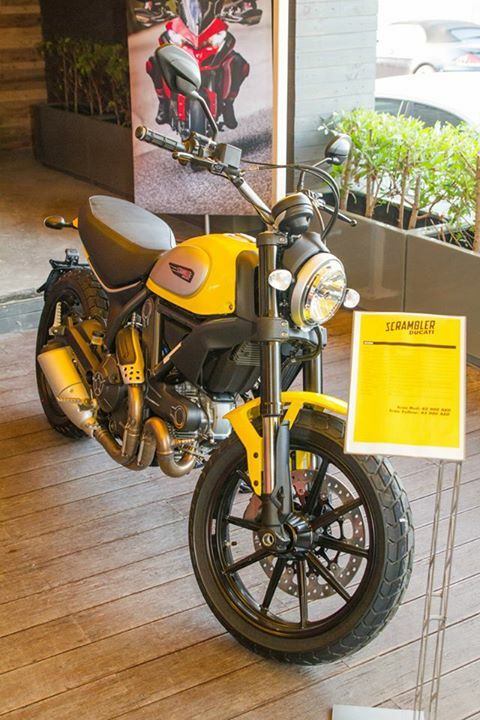 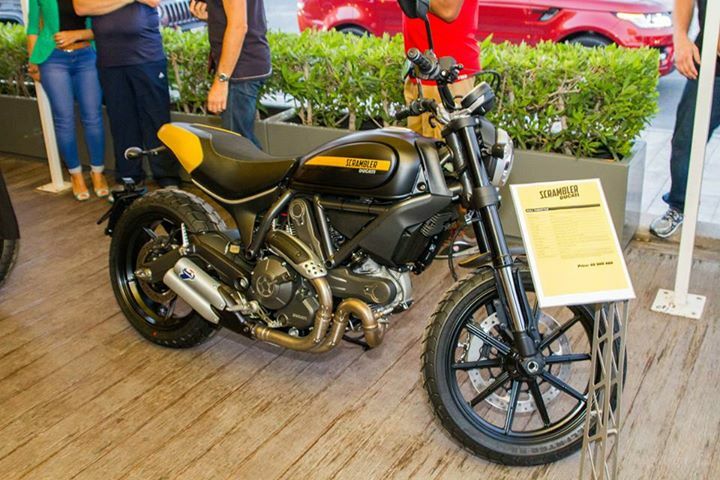 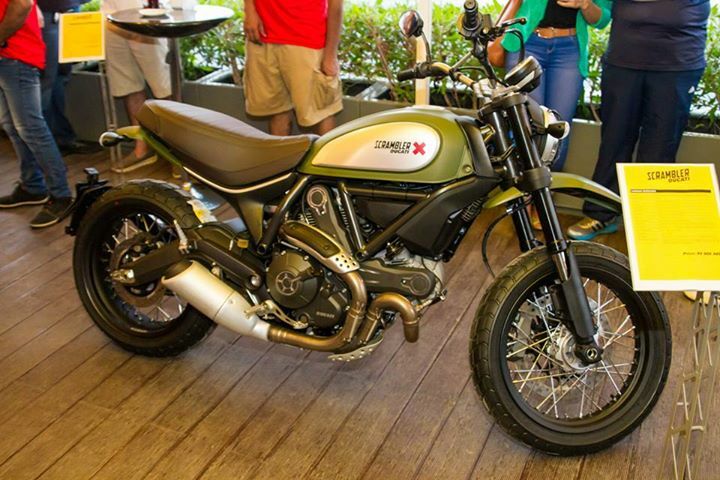 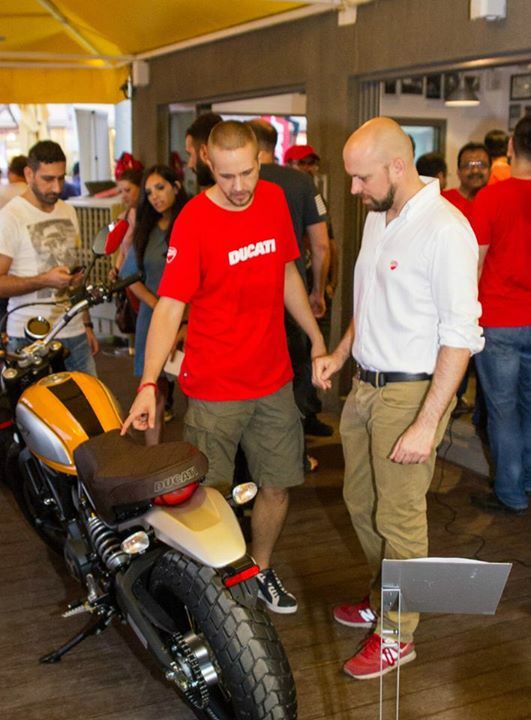 Following weeks of planning, we were thrilled to host the launch of Ducati’s latest motorcycles, comprising the 1299 Panigale and Panigale S, Panigale R, Multistrada 1200, and all four versions of the Scrambler – Icon, Urban Enduro, Classic and Full Throttle. 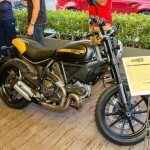 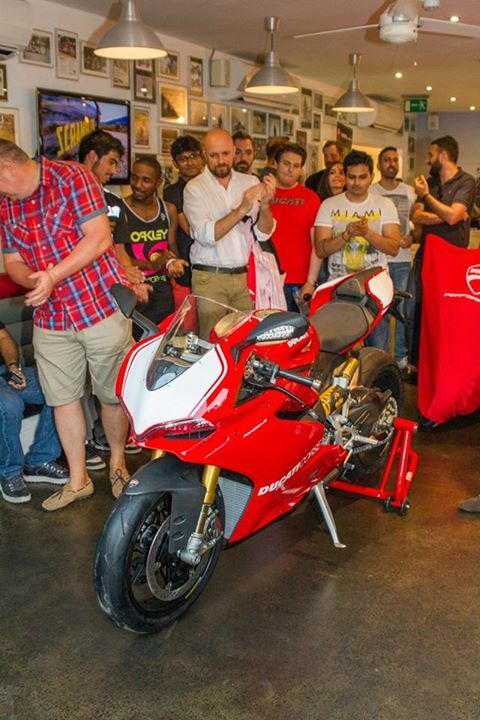 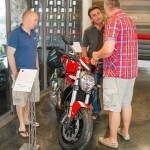 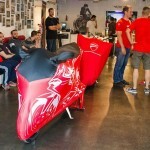 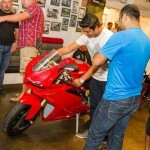 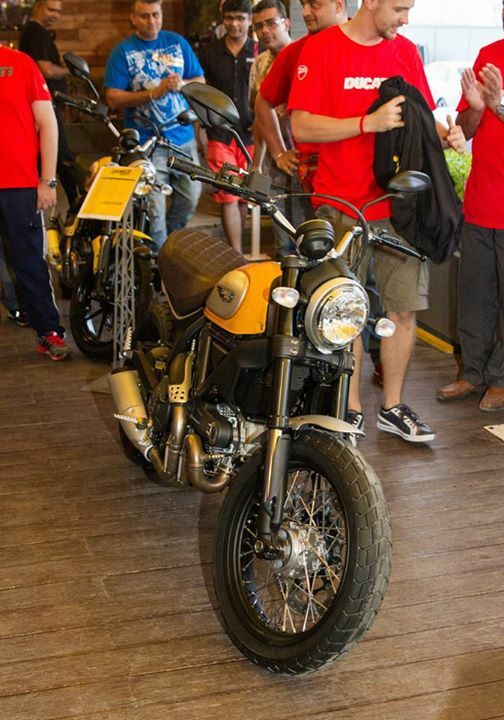 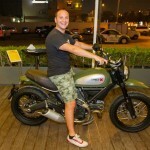 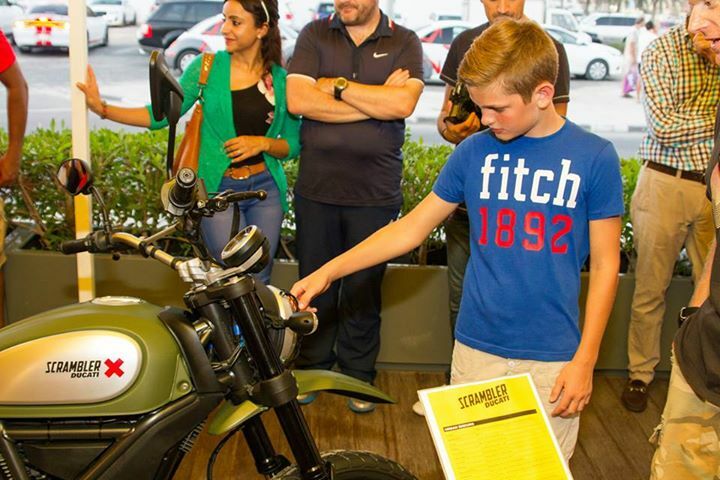 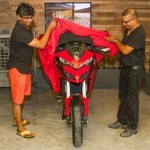 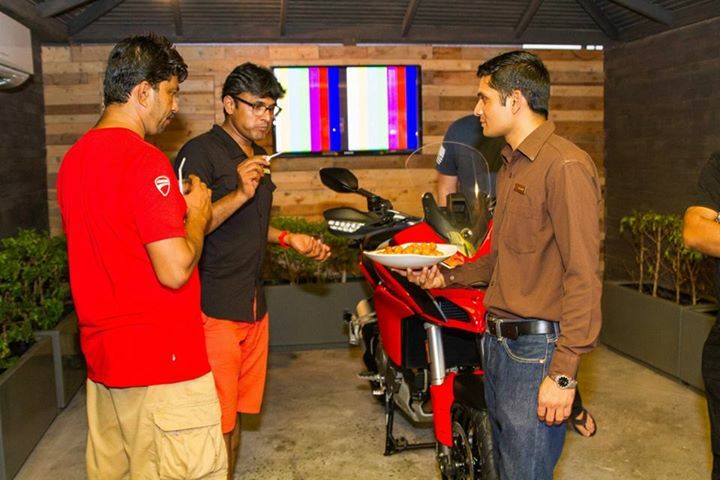 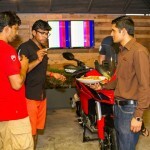 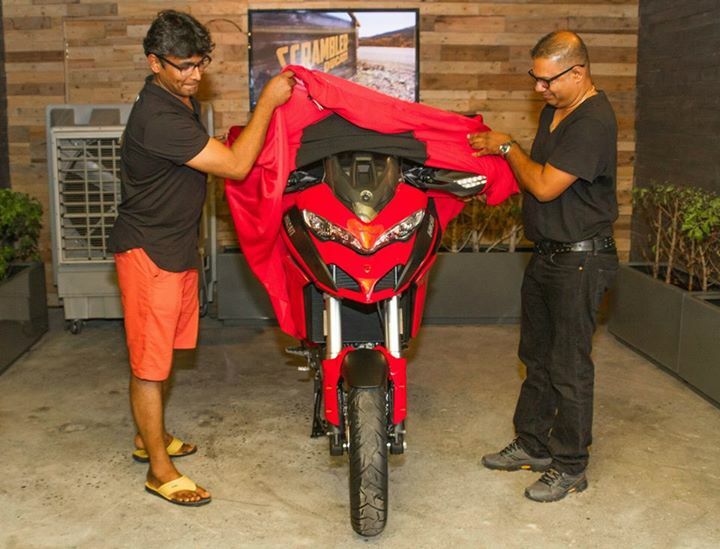 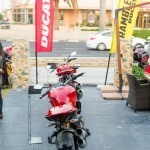 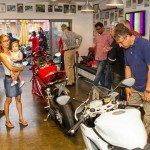 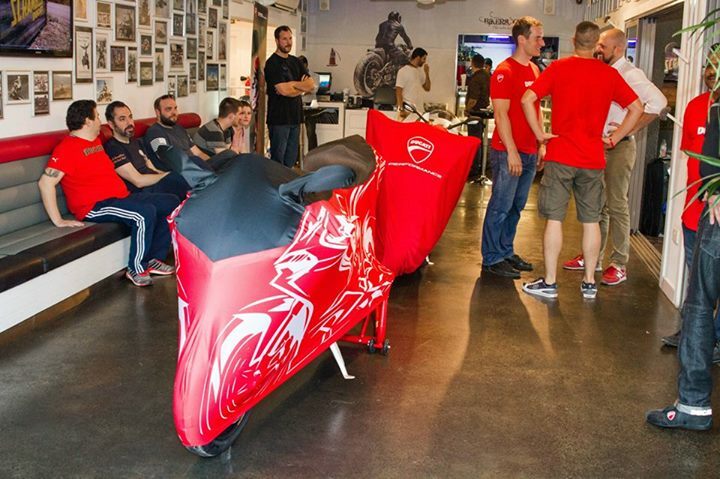 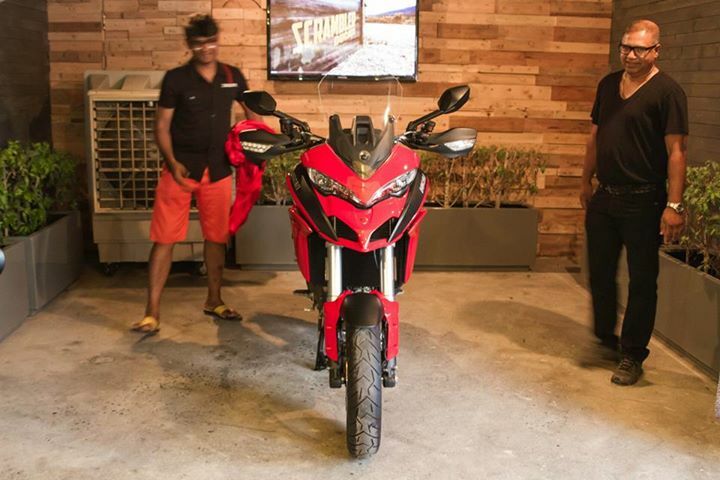 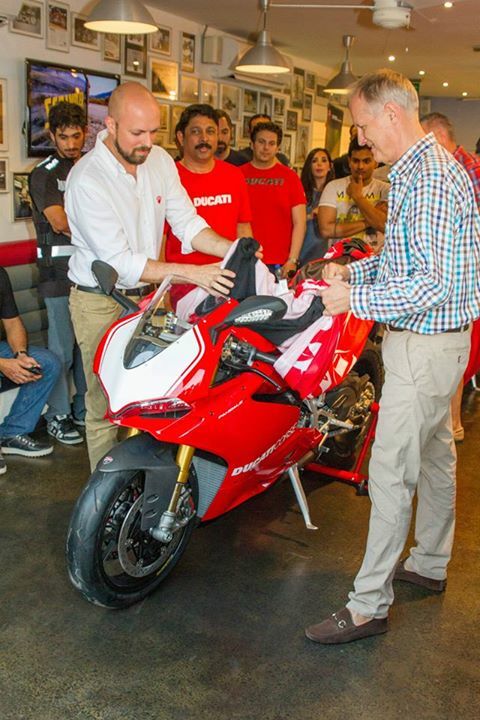 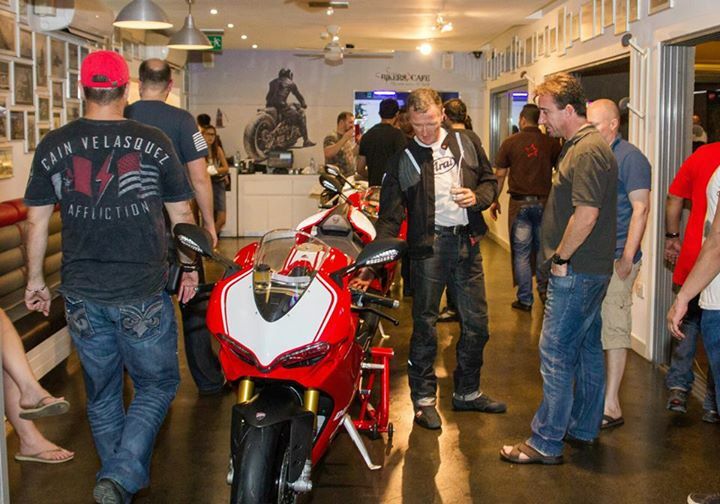 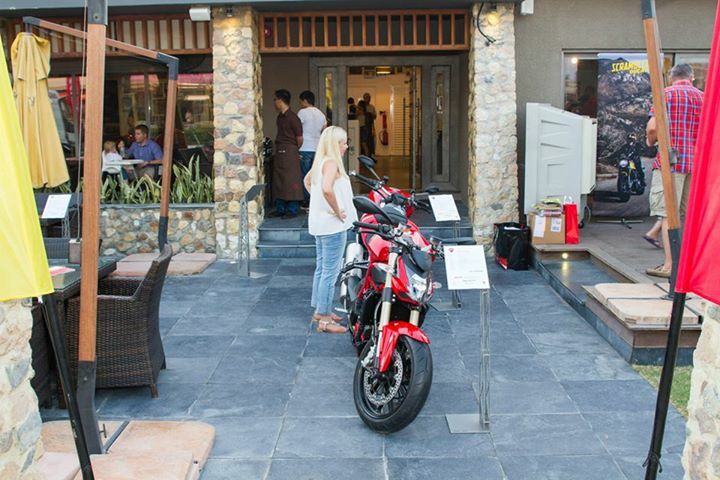 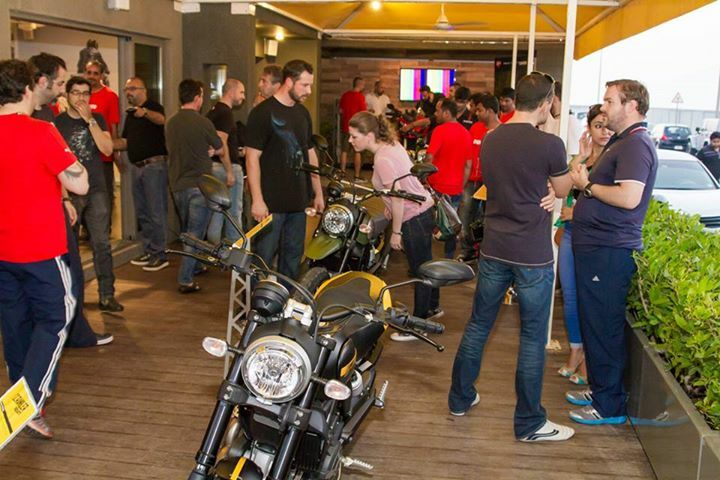 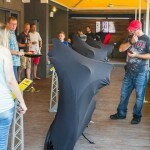 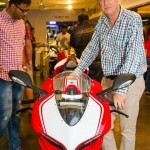 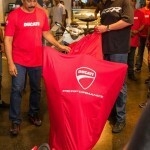 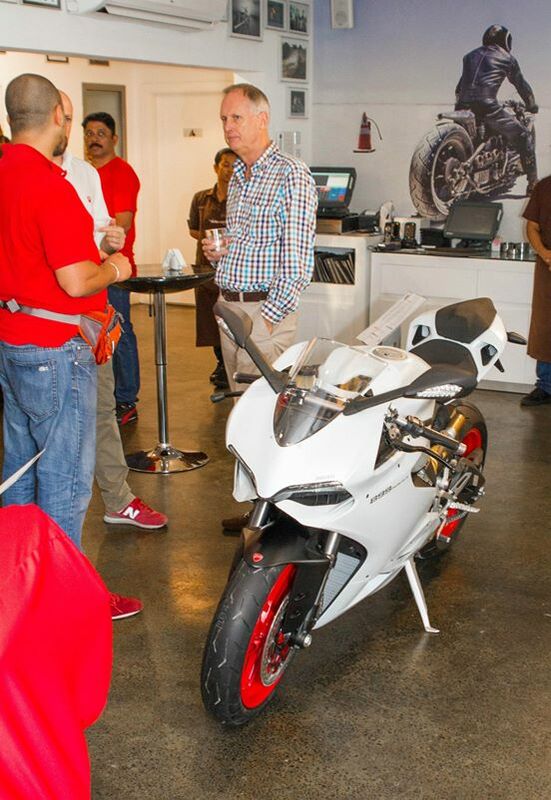 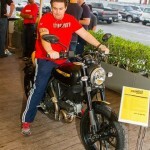 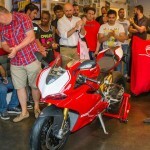 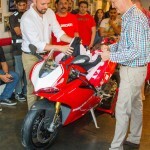 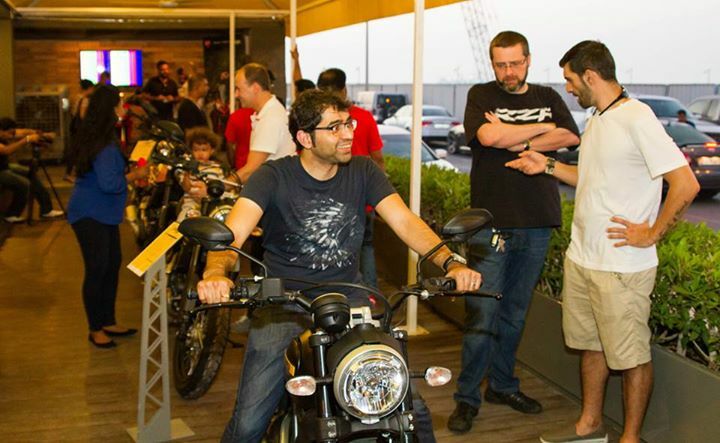 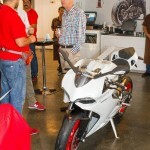 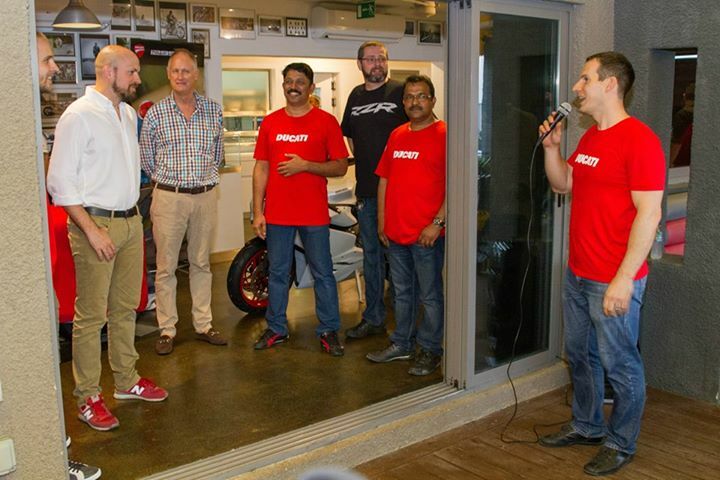 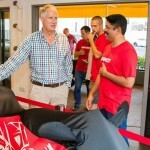 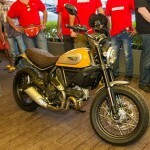 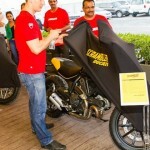 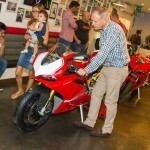 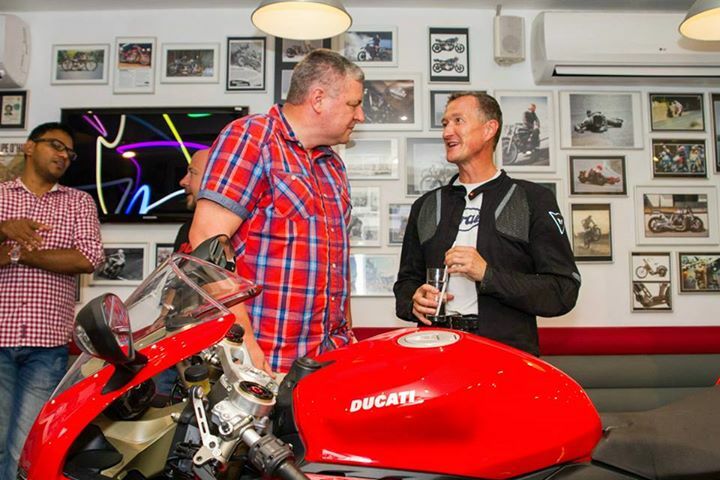 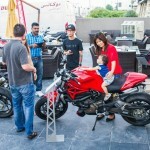 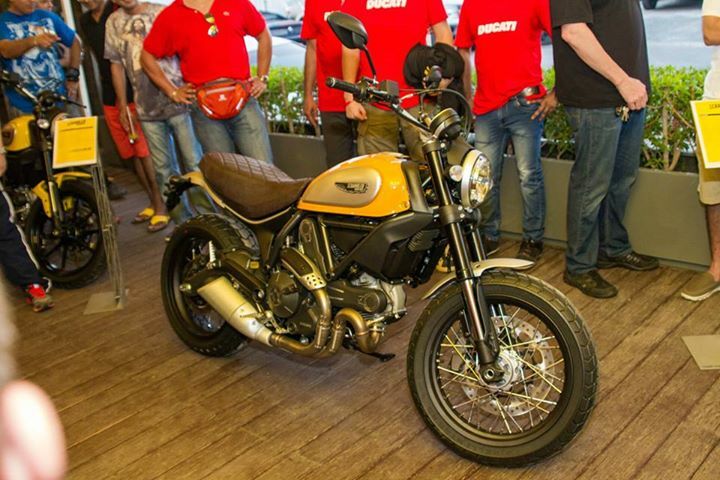 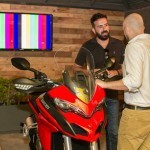 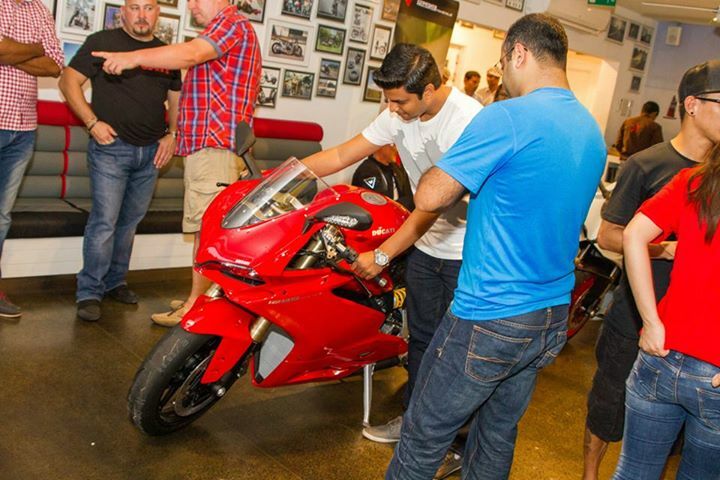 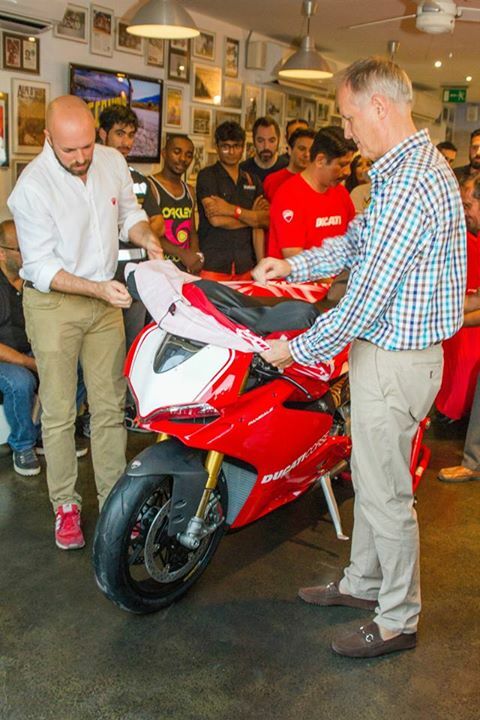 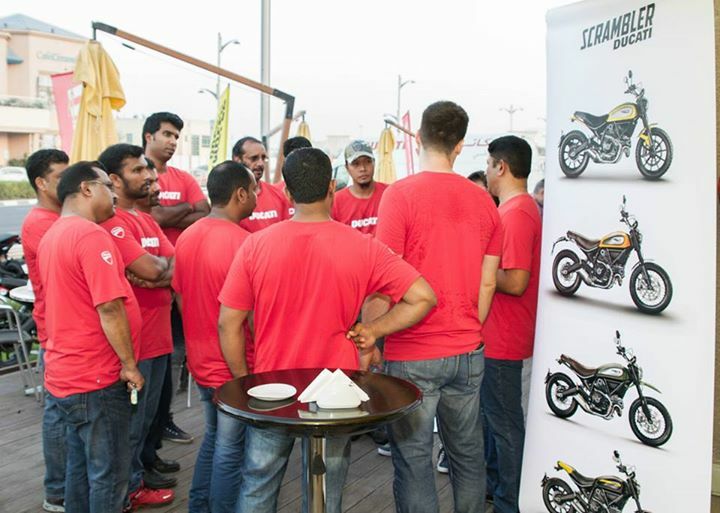 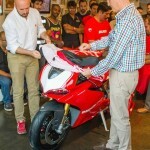 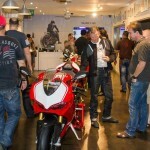 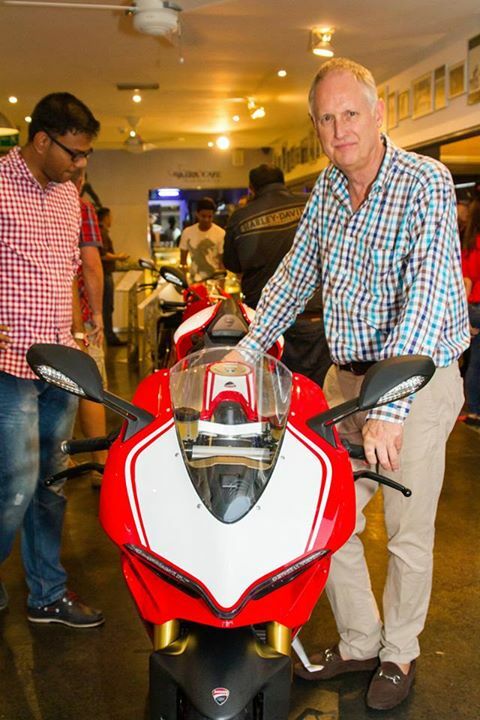 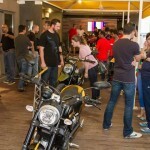 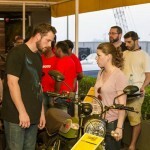 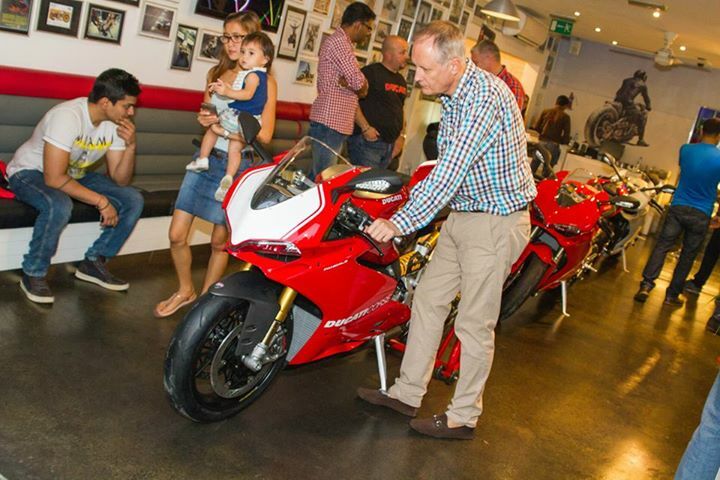 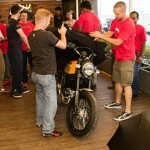 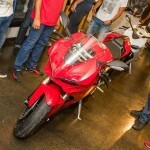 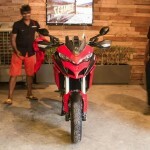 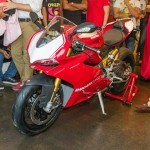 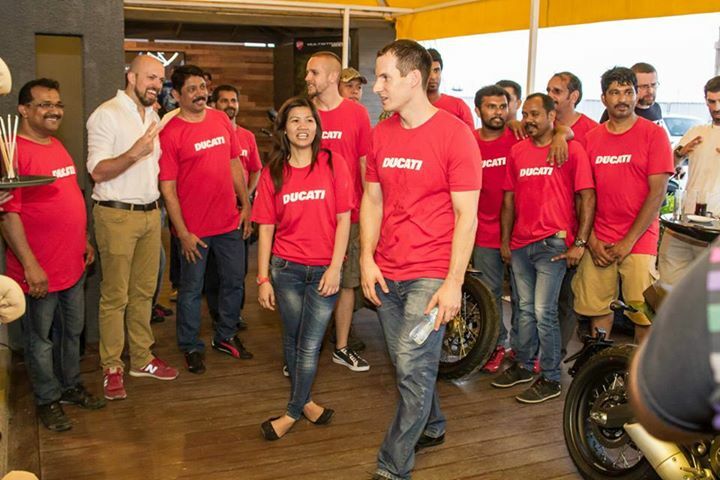 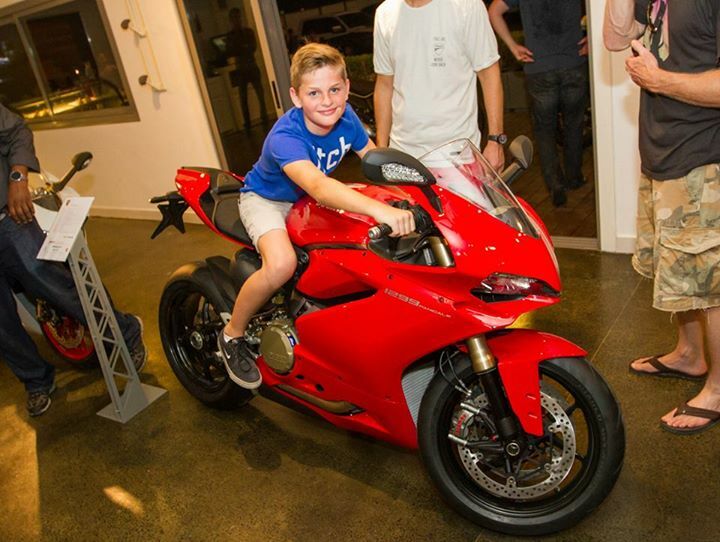 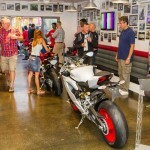 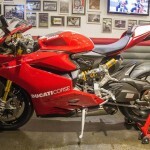 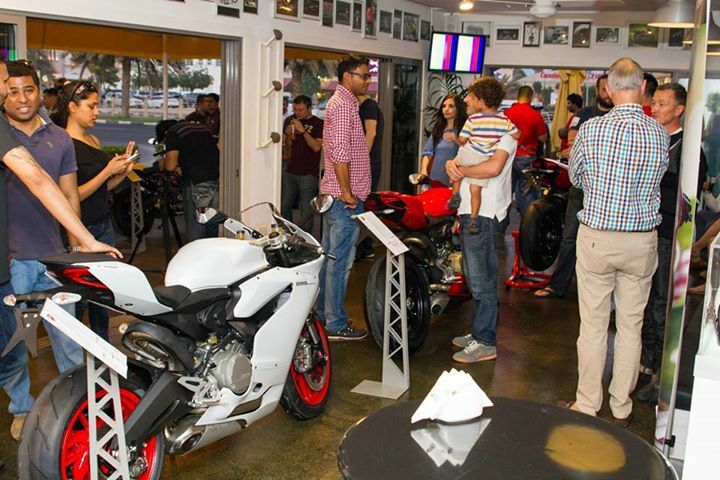 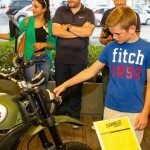 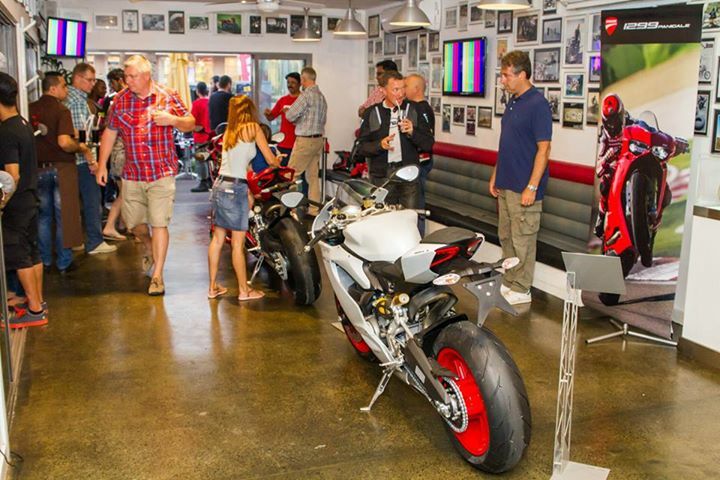 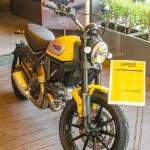 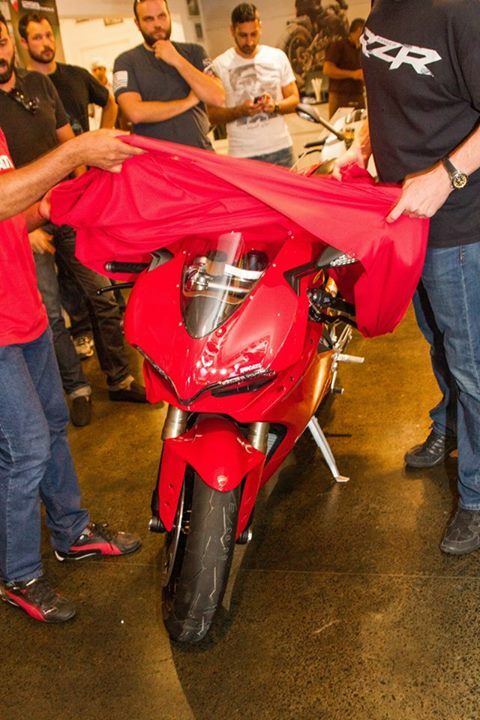 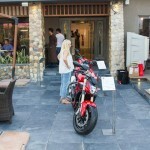 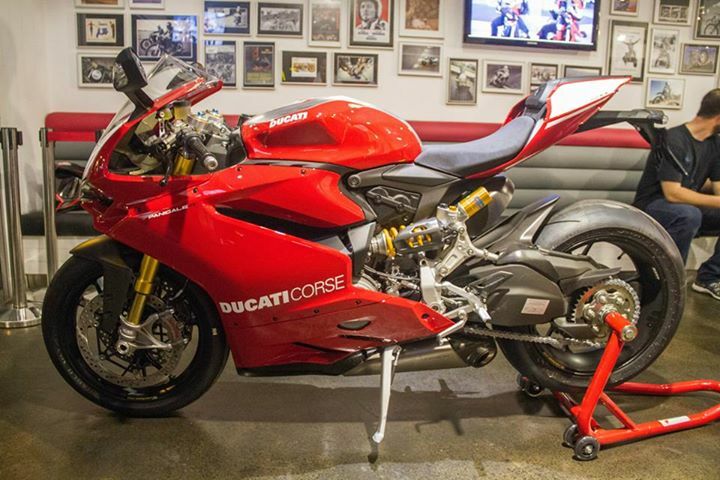 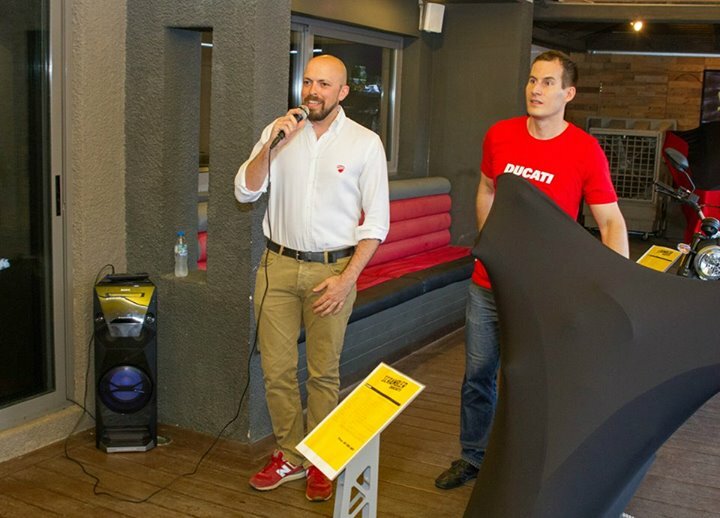 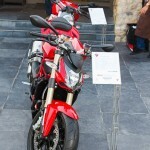 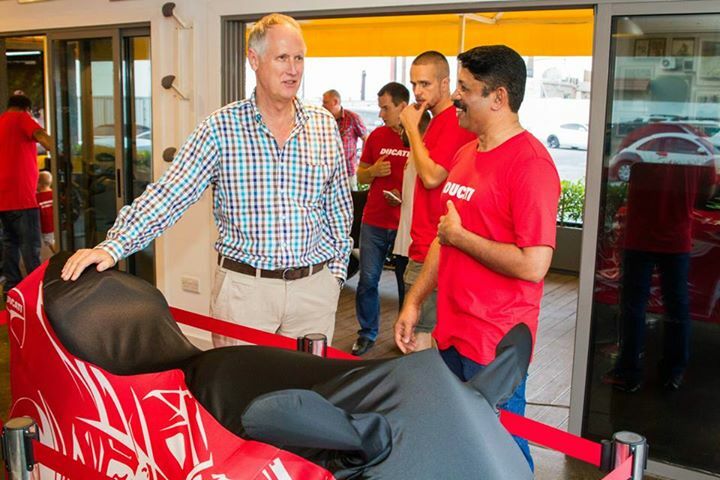 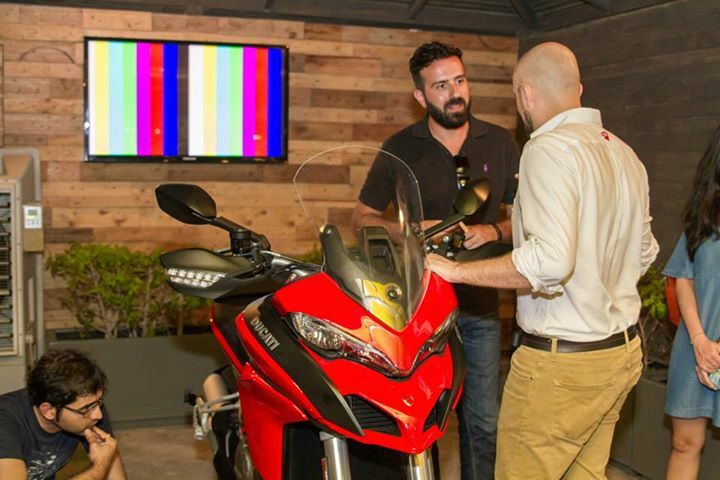 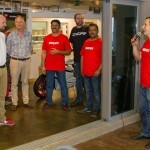 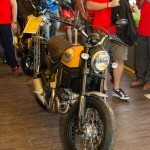 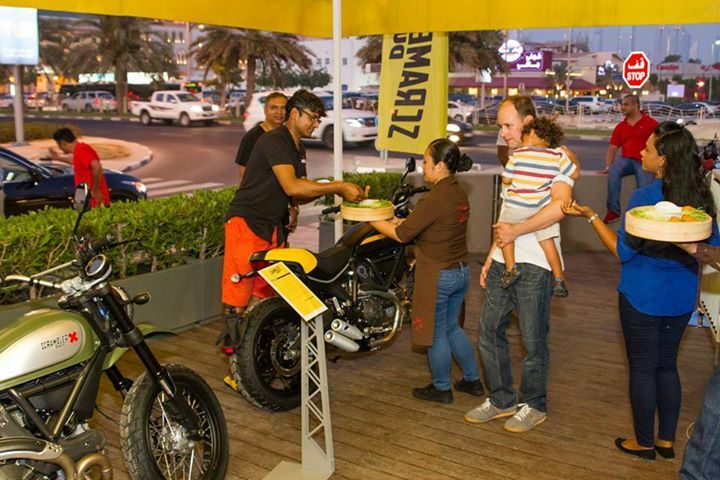 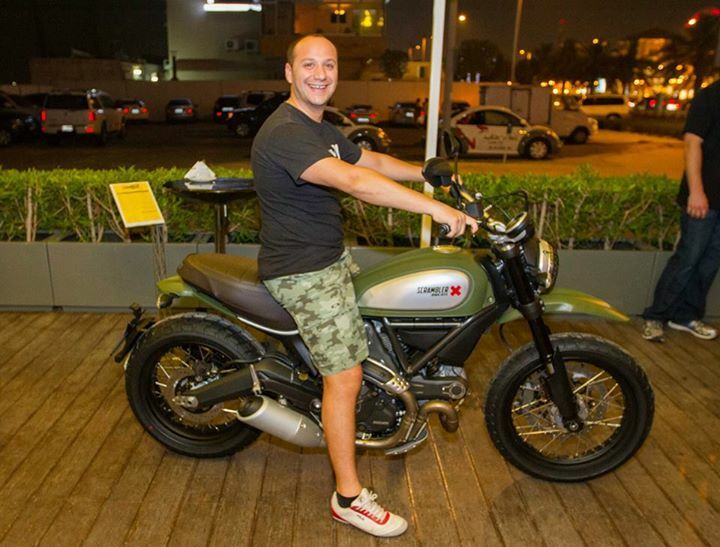 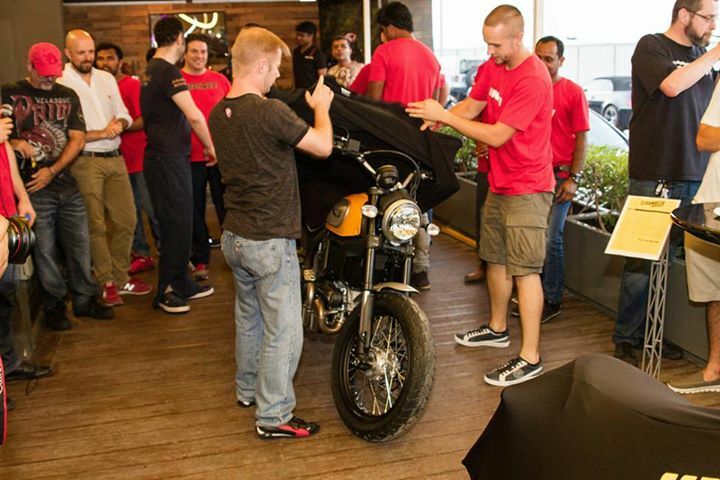 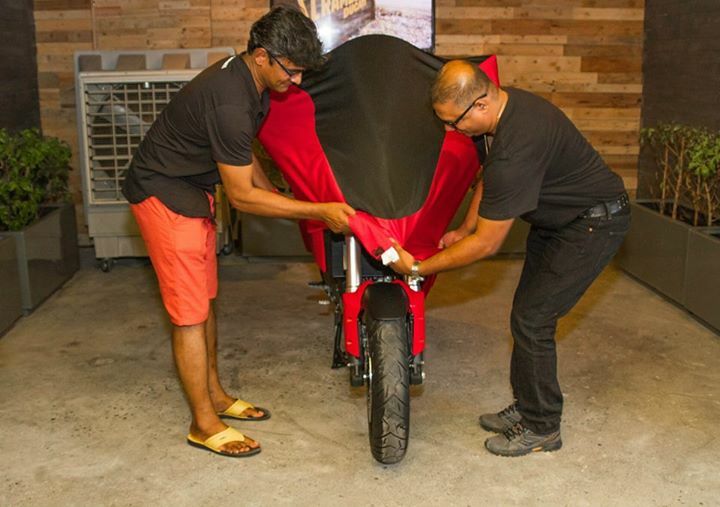 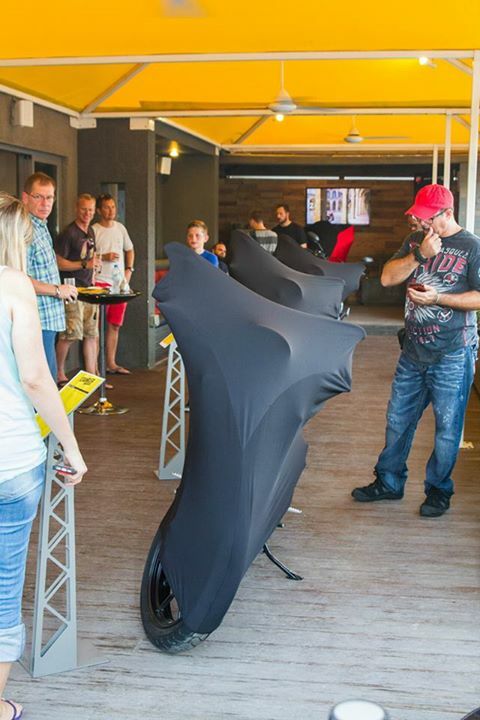 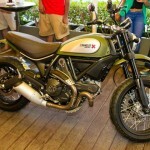 The cafe was reserved exclusively for the Ducati UAE team on Friday (May 15) evening, who came down early to make arrangements for displaying the motorcycles. 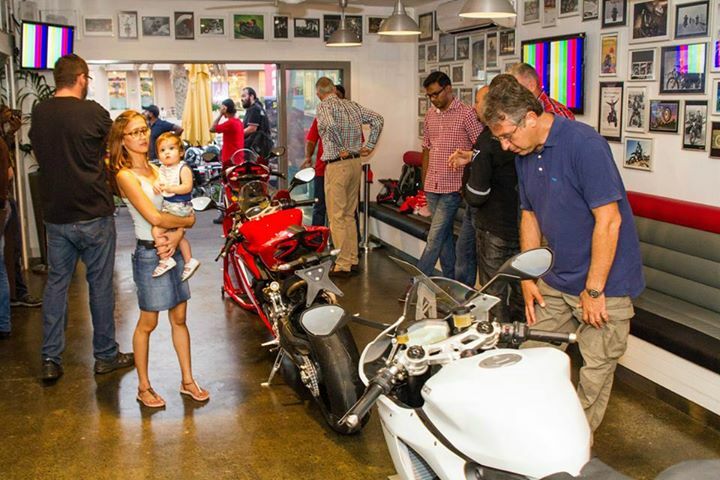 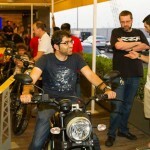 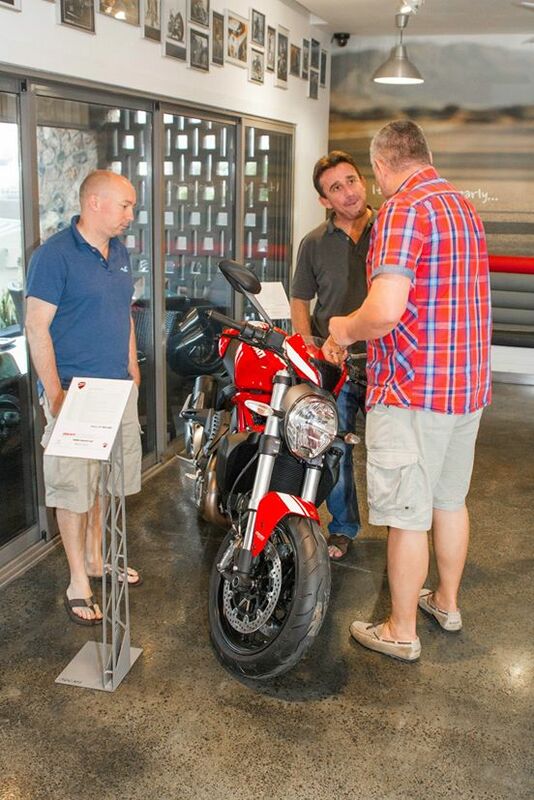 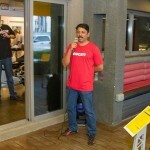 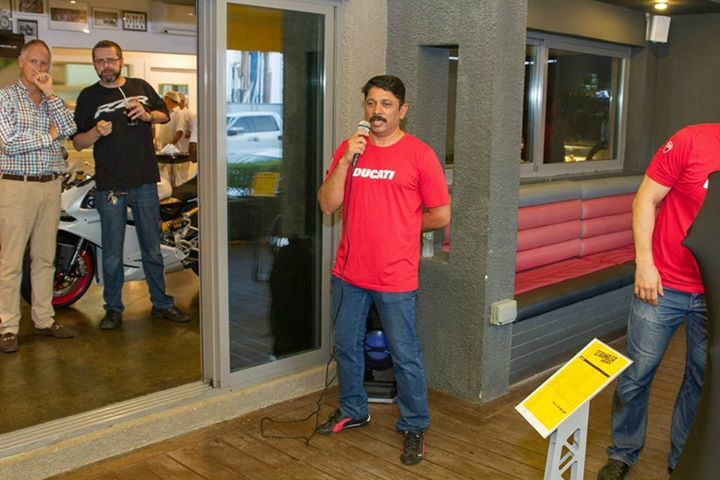 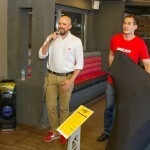 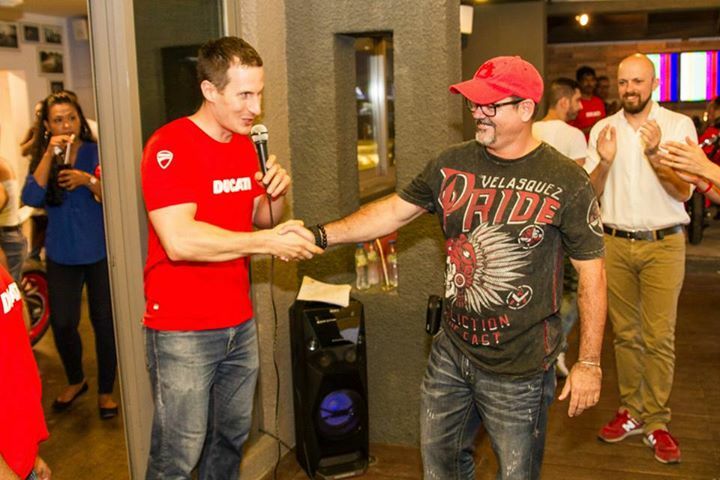 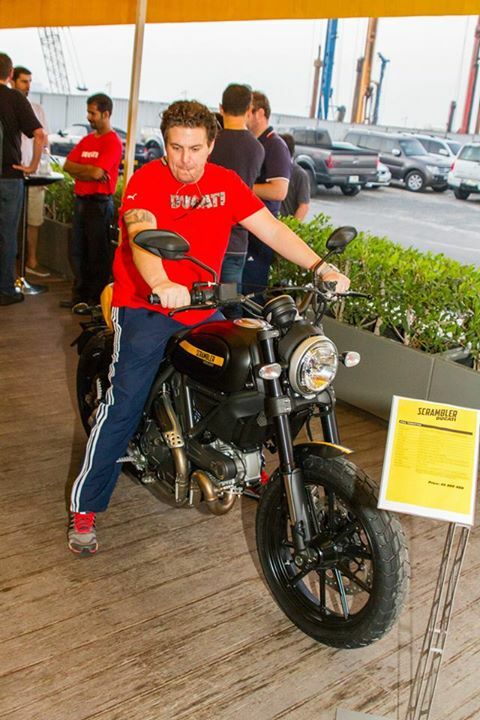 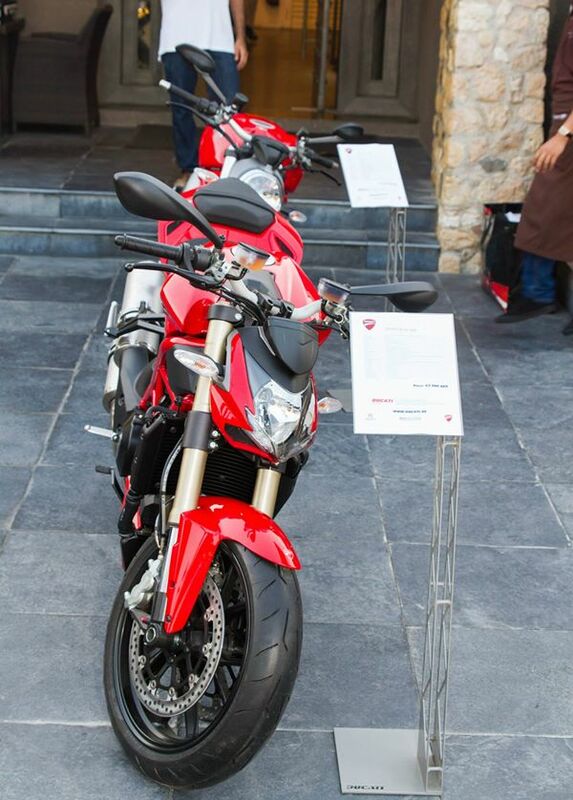 Mr. Luca, member of Ducati’s head office, flew down from Italy for the event and was glad to be with Bikers Cafe. 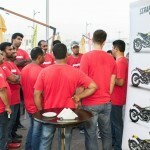 When the time came for the multiple reveals, guests gathered at the terrace waited with bated breath to catch a glimpse of the gorgeous metal underneath the covers. 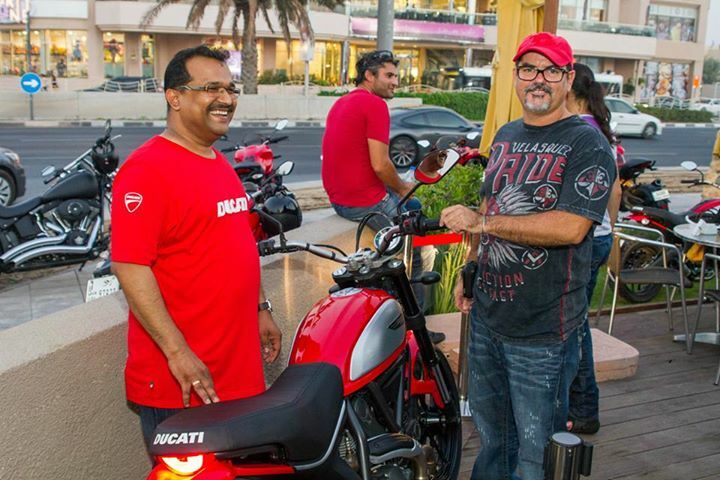 Mr. Abdulla Mohammed Ali, General Manager of Ducati UAE, and Mr. Martin Krepela did a great job organizing and and setting up the motorcycles before the event started. 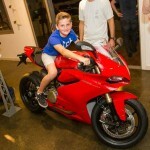 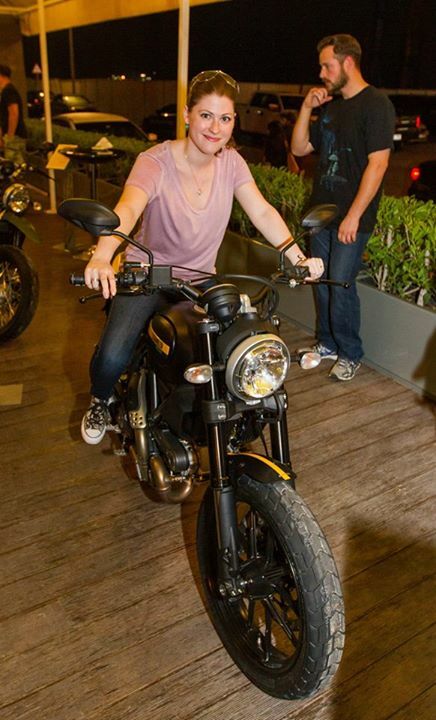 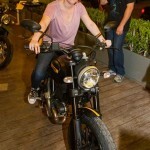 Fans were trying out the bikes soon after the reveal and photo-ops. 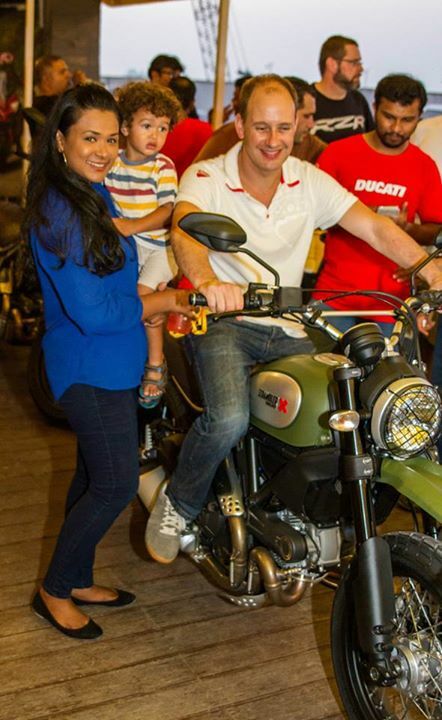 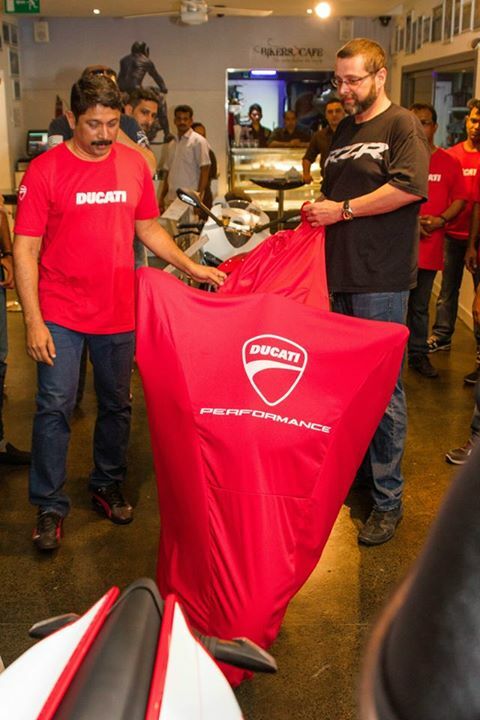 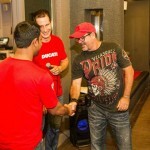 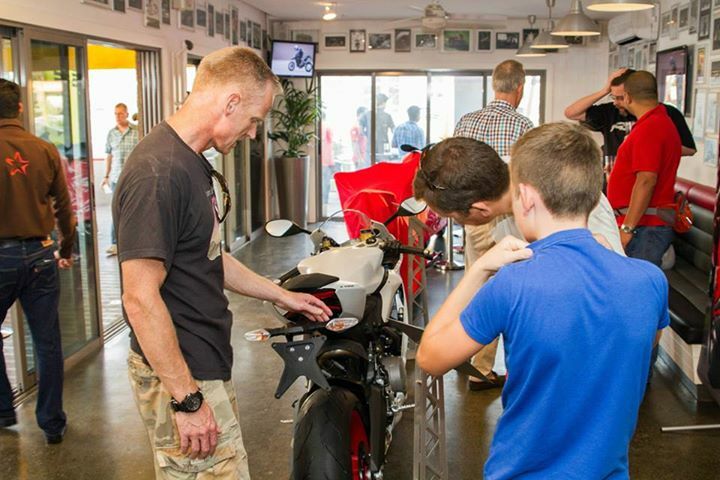 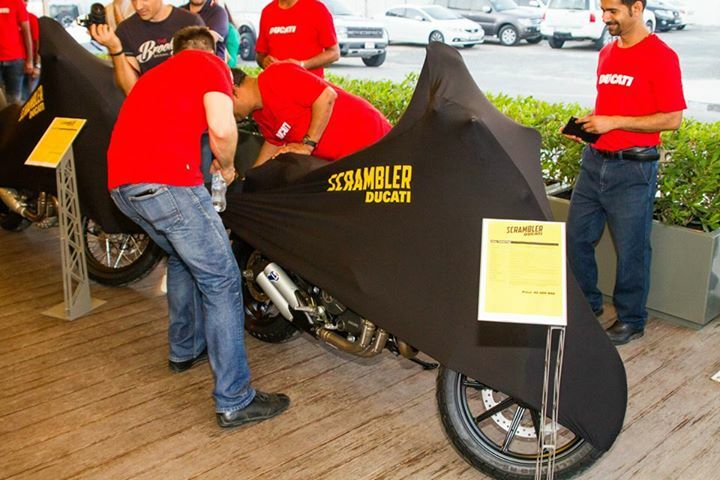 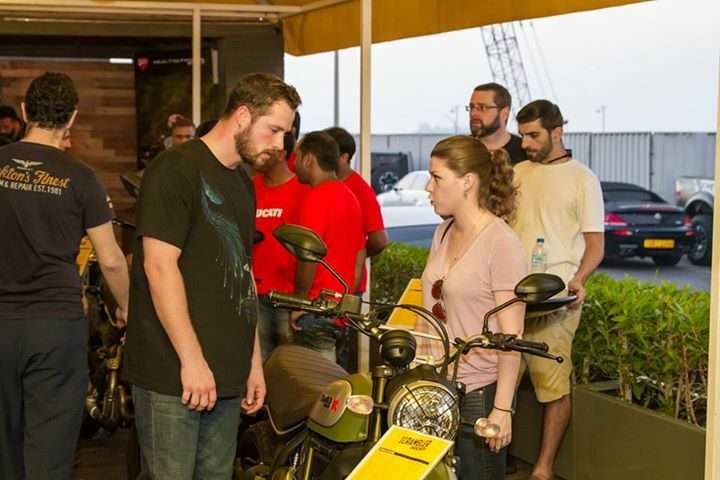 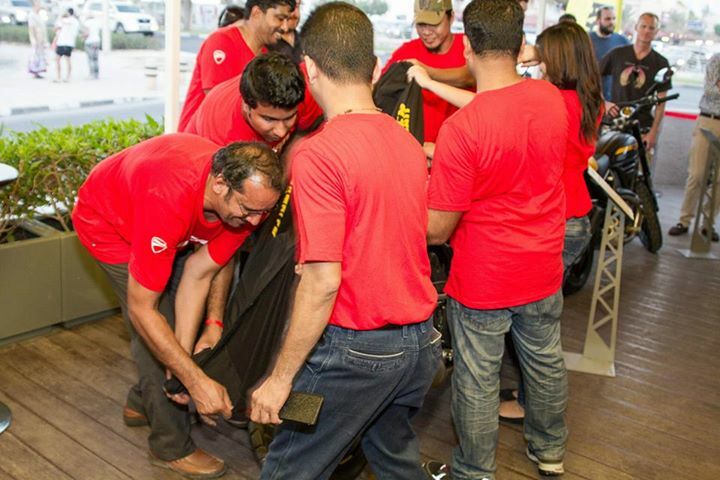 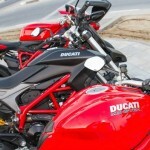 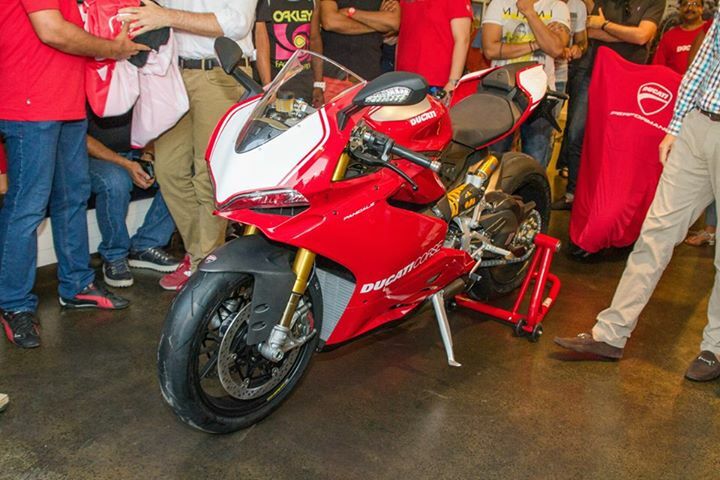 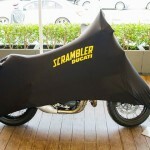 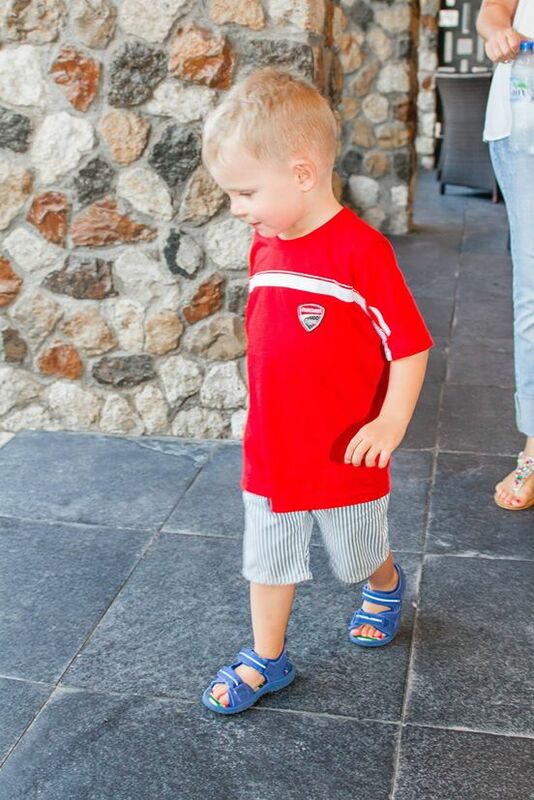 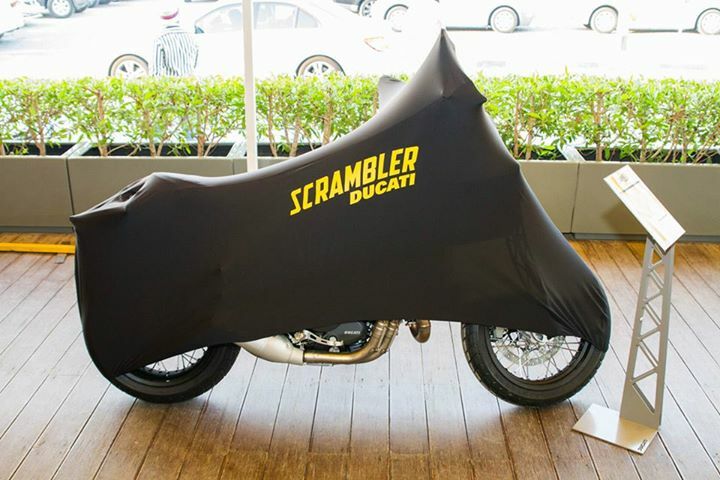 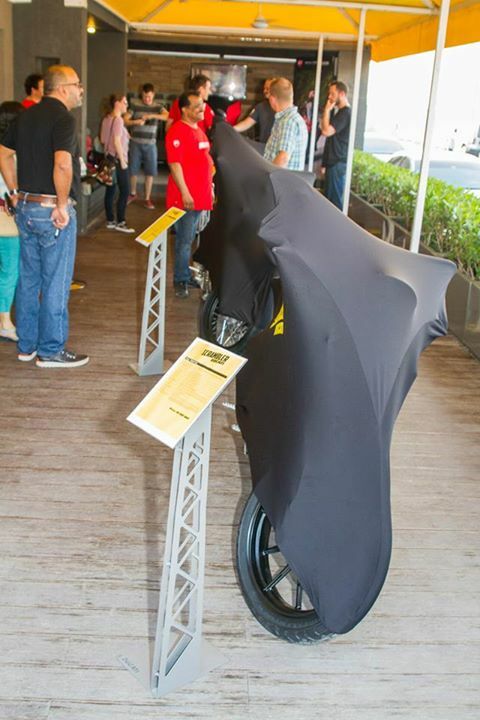 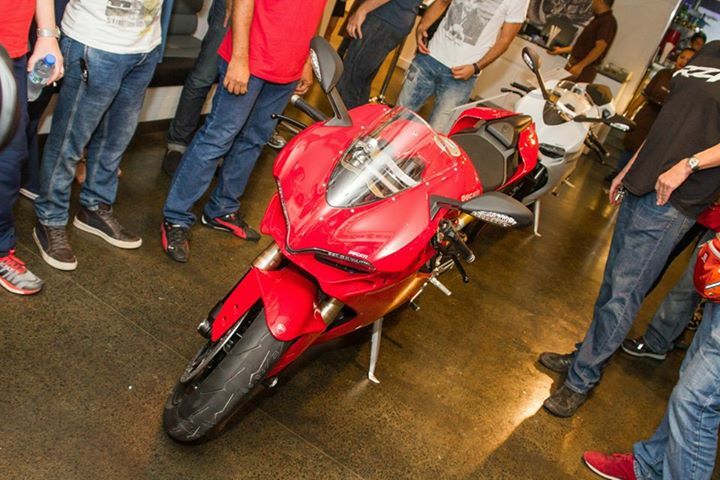 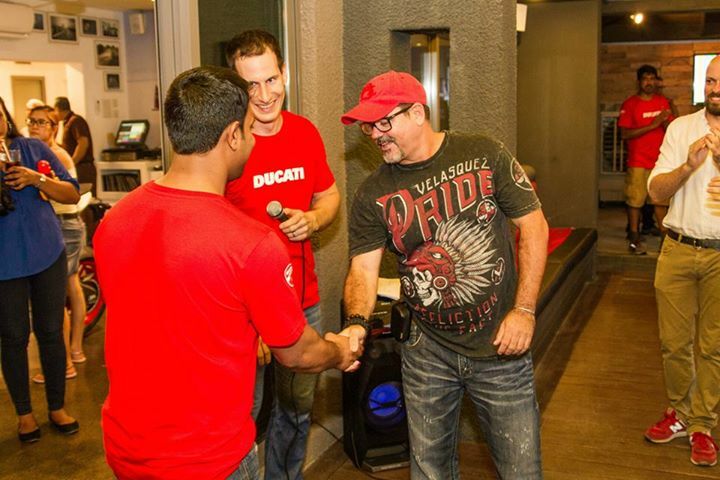 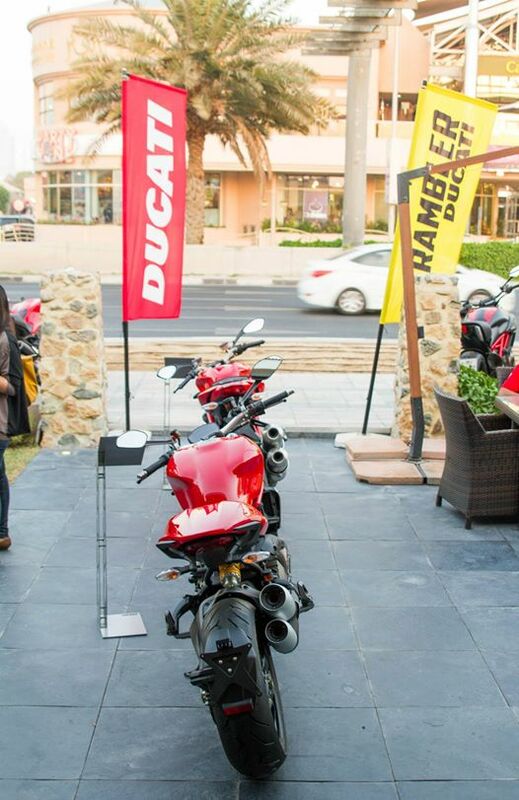 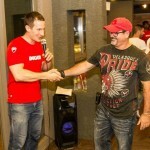 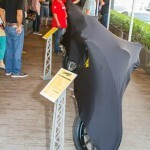 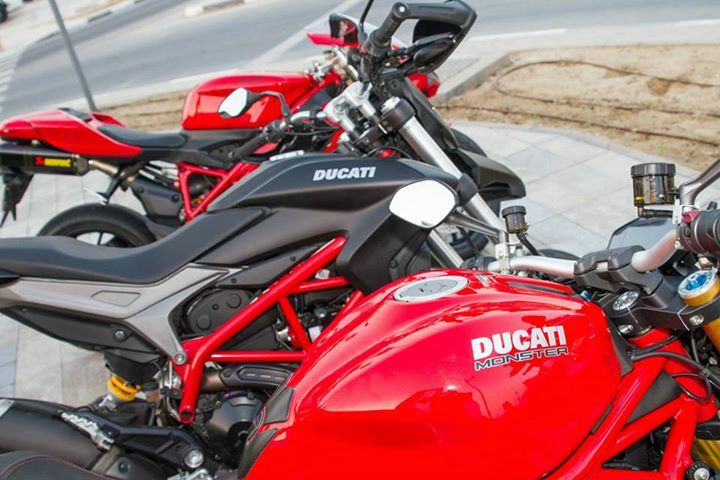 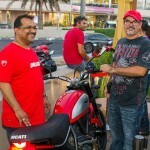 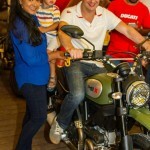 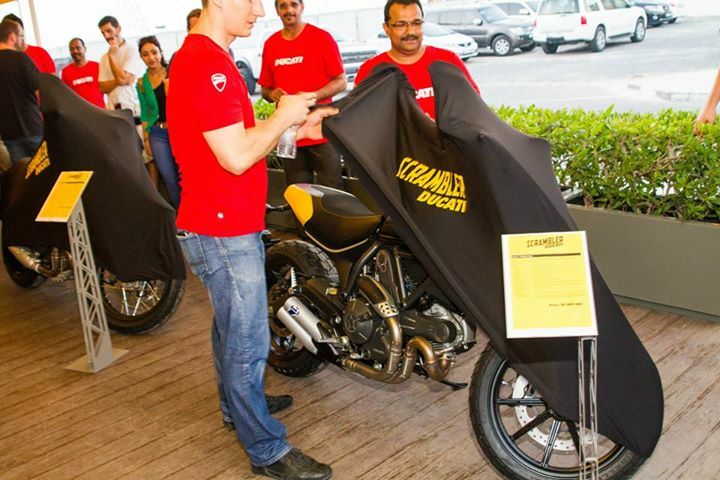 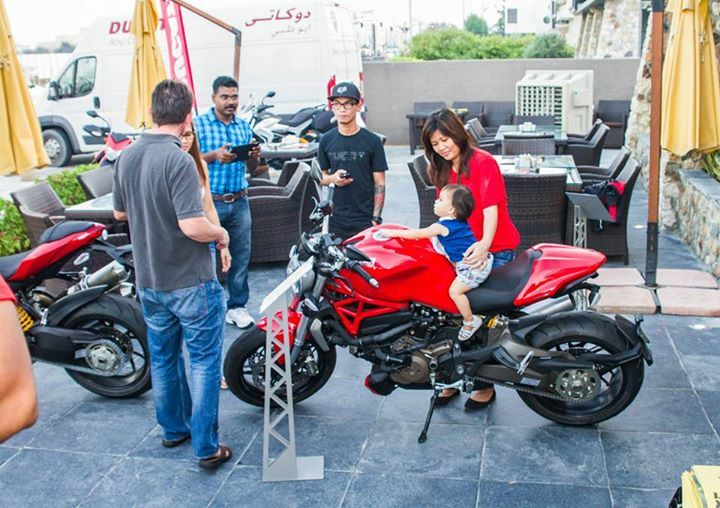 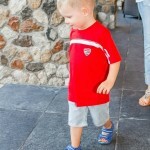 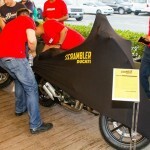 We would like to thank Ducati UAE for coming down and making this one fabulous event.